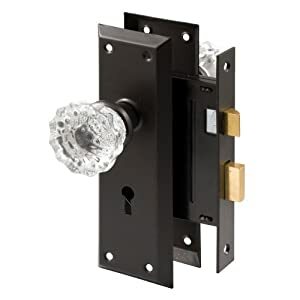 9 Best Mortise Locks Reviews - Mortise Lock Sets in 2019! Mortise Locks developed during the 19th Century in the UK and in the US simultaneously. A mortise lock is a design where the lock, bolt, and handle are all housed in the door. The door has to have a pocket, or mortise (hence the name) cut into its body to insert the locks mechanism housing. 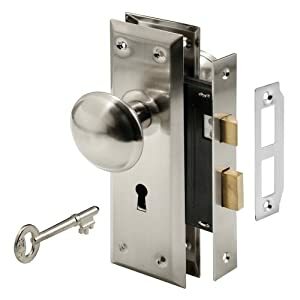 The main differences between the two modern lock mechanisms are that a cylindrical lock only requires a hole be bored from one side of the door the other, and the cylinder is inserted and locked into place by outside plates. The other main difference is security, where a mortise lock is more secured. It also provides more mechanisms for additional functions, such as turning extra deadbolts into place around the door and not just from the mortise housing. 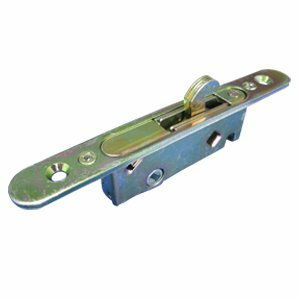 Mortise locks are found in many applications, from the simple patio screen door to a complex secured reinforced warehouse door. 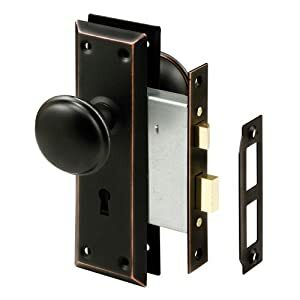 Most mortise locks are easily replaceable since manufacturers design them to standard sizes. The more basic designs are easily interchangeable, while the more complex systems require you to use only manufacturer specific models. Since doors are regularly used, mortise locks, even the strongest and most reliable will suffer from their constant use. As such, most outdoor and commercial mortise locks get replaced after a decade, where home door locks might last for half a century. In any event, locks need to be maintained, screws reinforced, hinges oiled and when a mechanism becomes unstable, replaced. Lock Body: This is the housing for the mechanism, the mortise lock housing or lock body is inserted into the door’s pocket and secured in place in the lock stile (The lock stile is the name of the area on the door that houses the locking mechanism). This means that it cannot be removed unless the door is open. Through Spindle: The through spindle is the square metal rod used to connect between the two doorknobs, interior to exterior. Lock Cylinder: This is a threaded cylinder assembly that is found in the lock body. A mortise lock cylinder has a cam in which the through spindle is inserted; this is the moving mechanism that opens and closes the door. Strike Plate: This is the opposite door frame piece of metal that is fixed in place to accept the deadbolt and latch bolt securely. The reason a metal plate is used is to assure that the integrity of the door frame is not damaged and adds extra security against prying or leveraged pressure. Escutcheon Plates: This is usually a designed strip of metal, it is also known as a rose plate and comes in many forms, it is mainly a decorative shield placed over the area where the handle arm meets the door. Faceplate: This is the lock body plate that faces the strike plate. This part of the lock body can be one piece with the lock body or removable, depending on the model design. Day/Night Switch: This is a deadbolt switch that can close the deadbolt from the inside without the use of the key. The night switch is used for extra security when occupants do not want to use a key to open and close the door while residing in the house. All mortise locks differ by the manufacturer; however, the most basic design is the same with all locks. The internal mechanism is based on a handle that turns the spindle which turns the cam. The cam uses a mechanism to pull or push the latch bolt and deadbolt in place. The key is used to secure the latch-bolt from as well as pushing deadbolts into place in the more complex designs. Mortise locks can be antiques, since the first locks appeared in the latter part of the 19th century, as such, when entering some older homes, you might find original mortise locks in place. It is important to take each locking body out of the stile (door) and thoroughly clean them and oil them. The best way to clean them is to immerse them in a metal cleaning liquid, then leave to dry and spray the internal mechanism with oil. In most cases you will totally disassemble the unit, in others, where rust has affected the body, you will need to apply lock release solutions before trying to unscrew the parts, or you will damage them. Sometimes it is best to use electrolysis to clean all parts, this is the last resort method, and the standard “elbow grease” method is best used. When you have an old lock that cannot be opened, you would best use electrolysis, here is a video to show you the process, it works wonders and can be done safely in any home. As you can see from the video, electrolysis will remove all the rust from your mechanism. Now, with really old locks, you might have internal structural integrity issues, So, do not use electrolysis until you have safely disassembled all the parts. If, as mentioned before, you cannot open it, then use electrolysis, and just hope that the internal parts are all whole. Test the mechanism in your hands after you have cleaned the lock mechanism and oiled it, and before you insert it back into its place and secure the front plate. If it works smoothly, then place it back in the door. If it does not perform well, you might consider either replacing it with a new mechanism or taking it to a locksmith that might have parts for an old mechanism. Handles have a tendency to come off; this is only due to their locking screw getting loose. You just need the correct tools to secure the screw in place. If something breaks inside the mechanism, you will need to take the whole mechanism out. Now, hope that the mechanism that breaks does so when the door is open. Otherwise, you will need to deploy some interesting methods. In general, if you can release the lock body from the door, open it and find the broken part. 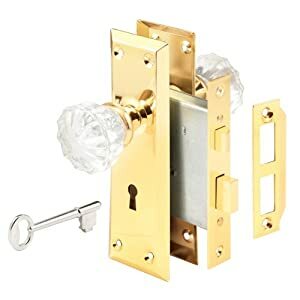 You can either replace it or buy a new mortise lock to replace the whole thing. In the case of a lock that is broken while the door is closed, you will need to either release the hinge bolts if possible and take the door off from its hinges or take a disk cutter and cut the bolts at the plates level. If you cannot do either of these, you will need to call either 911 fire services to come cut the door out or call a locksmith. You choose the option based on the level of urgency (emergency). A quick tip: Don’t look at price as a function of quality, many poorly made mortise locks come with high prices. In most instances its based on how the consumer sees the packaging and what design details have been included. You need to buy from a reputable firm, and also check online reviews. Many a time has a lock been bought for design sakes and failed after two weeks. Ease of mechanism, is it jerky, or does the knob open and close the lock with smooth movement? Ease of lock, is the lock easy to insert and turn? Sturdy design: is the lock body solid cased, is the solid casing thick or thin? How flimsy is the cover platy? Materials: is it made of untreated, unprotected steel? How many non-metallic parts are included in the mechanism? Handle: is the handle easy to hold? When you buy a polished round handle it can be slippery to turn. Design: does it catch your eye? Does it fit into your home design? Now it’s time to look at the Best Mortise Locks for doors and patios. What we looked at was product reliability, we also included design, but did not concentrate on this, since the companies you buy from all have different finishes that you can choose from. So, if you like brass, pick brass, if you like brushed nickel, go for it. Just make sure you buy from one of the best locks, which is what we present to you here. Outdoor locks differ from indoor ones in the materials used to make them and n the locking mechanism. Outdoor locks will come with a more complex locking mechanism, starting with a standard pin-tumbler lock and growing in complexity for the level of security required. Wright Products’ Serenade mortise lockset is a universal lockset; this means that it will fit into most door pockets on the market today. What we liked about this model was its solid versatility. It provided a smooth locking mechanism when turning the handle as well as the key. Opening and closing were easy, and we didn’t feel any jerks from within the mechanism. This is a clean looking satin nickel model, but it also comes in a brass finish. The unit will fit into a 3/4″ or a 1″ backset. It comes with a one-sided lock and a night/day knob on the inside. The key is a standard pin-tumbler lock key. This is a classic replaceable mortise lock, with a polished brass finish and lever handles. It comes with a pin-tumbler lock and an internal knight/day knob. You can also get it in a satin nickel finish too. This unit is very easy to install, and it works a treat. Since it’s a “universal” lock, it can replace just about any other mortise lock in your home and is suitable for outdoor use as well as indoor. After installation, it proved to be a very smooth mechanism, and even when we subjected it to pressure, it did not break or buckle. The Marks 91A-RH lock is a solid piece of craftsmanship that took our breath away. This is a solid-state lock, with high-quality materials and parts. Manufactured in Amityville, NY, the lock can withstand pressures of up to 550’Lbs torque, which is impressive. This model is ANSI GRADE 1 specification: ANSI-A156.13 and has a 3-Hour Fire Rating from Underwriters Laboratories. Apart from all these pedigree certificates, it comes with a lifetime mechanical warranty, so they stand behind their claims. This model comes in two sizes, 2-1/2″ and 2-3/4″ backset. It is made of stainless steel, and the plates are solid brass. Honestly, this is the real deal and real value for money. What separates an indoor lock from an outdoor one are two basic features, material, and key lock. Indoor designs use a lever-lock mechanism, which is the old standard (classic keyhole). Basically, indoor locks are not meant to secure against break-ins, just to keep the door locked. This is a classic Victorian design with glass handle. The key used is a lever-lock key, similar to the ones used for many years before the development of the pin tumbler model. 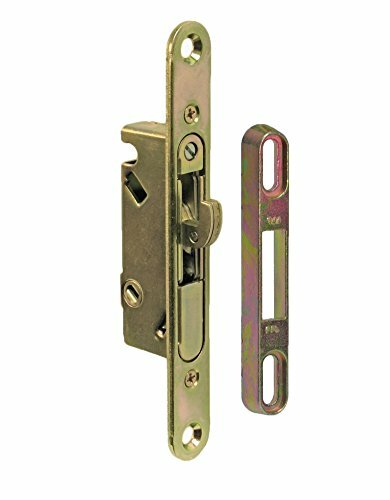 This lock is solid and can be assembled in any 1-3/8″ and 1-3/4″ interior doors. 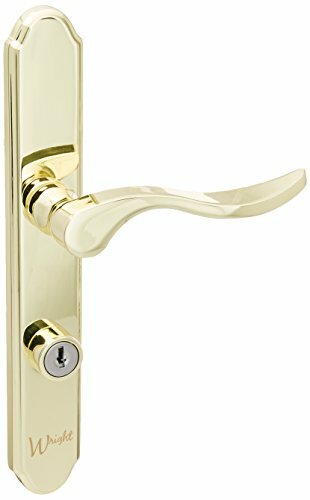 Just like the best fingerprint door locks, the plate is made of brass, and the lock body is steel. 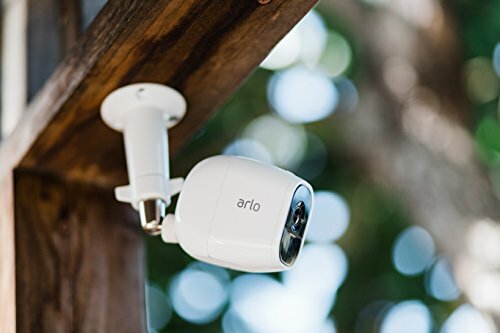 When we tried this one out, it was easy to install and easy to use. The old-style key adds to the vintage effect. All in all, a very good and steady lock for bedrooms, bathrooms and all internal doors. Just note, that a level lock keyhole is a classic peeping hole for curious eyes. This is a classic non-descript antique design with round handle. The key used is a lever-lock key, similar to the ones used for many years before the development of the pin tumbler model. This lock is solid and can be assembled in any 1-3/8″ and 1-3/4″ interior doors. The plate is made of steel, and the lock body is steel. When we tried this one out, it was easy to install and easy to use. This model comes in an old bronze finish and is a very good and steady lock for bedrooms, bathrooms and all internal doors. Also, take note that round knobs need to be dry when turned. Otherwise, you might find your grip slipping. This is Prime Line’s modern satin nickel model. The key used is a lever-lock key, similar to the ones used for many years before the development of the pin tumbler model. This lock is solid and can be assembled in any 1-3/8″ and 1-3/4″ interior doors. The whole unit is made of steel with a satin nickel finish. When we tried this one out, it was easy to install and easy to use. The lever lock key is a good system for indoor locks. 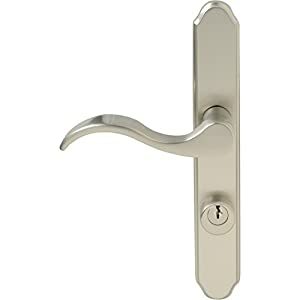 All in all, a very good and steady lock for bedrooms, bathrooms and all internal door. Its time to take a quick look at two of the best sliding door mortise locks, these are smaller than your standard door locks, since they must fit into an aluminum, synthetics, or wood frame that is suitable for a sliding door or window. Essentially, what we look for here are lightweight but reliable materials to provide a seamless and smooth locking mechanism. This mortise lock will fit into just about any prefabricated sliding door frame irrespective of the material used. The unit is made of steel and is plated with a corrosion resistant yellow zinc dichromate (YZD) coat. The mechanism has been tested and can withstand the force of up to 1,000Lbs, which means that the door or glass will break before the lock. This model uses an adjustable hook with a 45o hub that locks it into place. What we found useful is that this lock comes in a stainless steel model that is great for humid and wet climates. This is Vision Hardware’s version of a mortise lock that will fit into just about any prefabricated sliding door frame irrespective of the material used. The unit is made of steel and is plated with a corrosion resistant yellow zinc dichromate (YZD) coat. The mechanism has been tested and exceeds AAMA requirements, which means that the door or glass will break before the lock. This unit uses an adjustable hook with a 45o hub that locks it into place. Choosing the correct mortise lock is based on a number of key elements. These include the level of security you need for the door, whether the door is internal or external and what design you require. Let’s put aside design since this a personal issue, and the best mortise locks can look like anything since each person taste different. 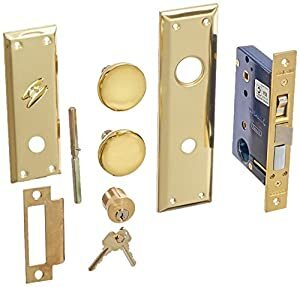 In regard to location, mortise locks can be found in anything from dollhouse doors to bank vaults, windows and patio doors, skylights and bedroom doors. You name it; it can have a mortise lock inserted into it. The more complex level of security required, the more complex the design and usually the more focused you will be on a specific door manufacturer. Remember, the price is a function of two elements, brand, and complexity. You can find cheaper models that are made of weaker materials and more expensive models that will last a lifetime. Deciding on which level of security will determine which model range you seek, and then adapting price to your budget.